The mentoring program at WCS strives to provide opportunities and resources for our new freshmen or transfer members to get acclimated to UIUC and to start their best foot forward with their professional and personal development. We do peer pairing between upperclassmen and underclassmen with ACM, and are currently working with CSGSO to create a mentoring program between graduates and undergraduates. We also invite alumni or corporate volunteers to mentor our students as well. 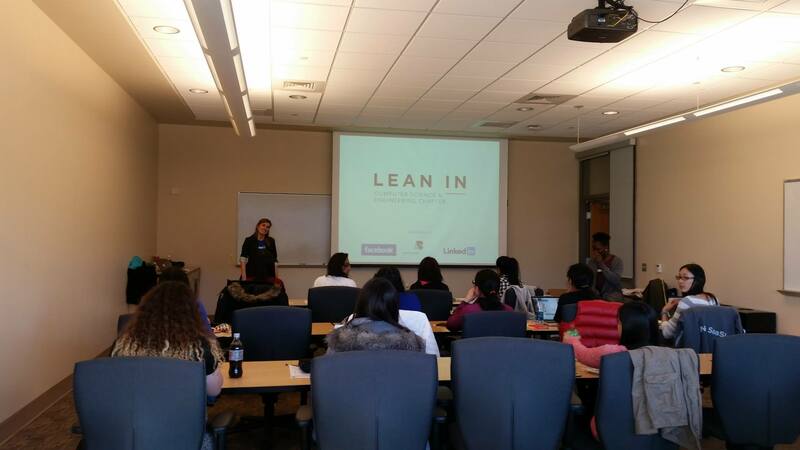 We base some of our workshops and events off of Sheryl Sandberg's Lean In. Lean In is a book written by Facebook Chief Operating Officer Sheryl Sandberg that touches on different topics on personal development for women who aspire to be in leadership positions. It also gives details on unconscious bias and other factors that may be hindering women's professional progress, and how men and women can work together to ensure more equal professional opportunity. The book inspired Sandberg to start an organization where people can start Lean In Circles across campuses and organizations. We take select topics from this book along with other resources to form our own monthly circles.